Dieter Morszeck, grandson of the founder of RIMOWA, has chosen to partner with the LVMH Group with a view to preserving the spirit of excellence and the long-term vision that have inspired his family and the company’s employees for over a century. Under the terms of the agreement, Dieter Morszeck will sell a majority stake to the LVMH Group while continuing to hold equity in the business and maintaining his leadership functions. RIMOWA will then become the first German Maison of the LVMH Group. Upon completion of the transaction, Alexandre Arnault will be appointed co-CEO of RIMOWA. Founded in Cologne in 1898, luggage and leather goods maker RIMOWA has become one of the quintessential houses for innovative, high-quality luggage over the course of the twentieth century. The business has built its reputation designing lightweight and easy to use luggage and RIMOWA suitcases today serve as the industry benchmark for German quality. Since its creation by Paul Morszeck, innovation has been at the heart of RIMOWA’s strategy. In 1937, his son Richard launched the first aluminium suitcase available on the market. The aluminium structure comprising parallel grooves makes the luggage instantly recognisable and has played its part in building the reputation of RIMOWA among a sophisticated international clientele. His son Dieter designed the first waterproof metal case in 1976, since which time RIMOWA suitcases have become the travelling companion of choice for the greatest filmmakers, photographers and journalists. 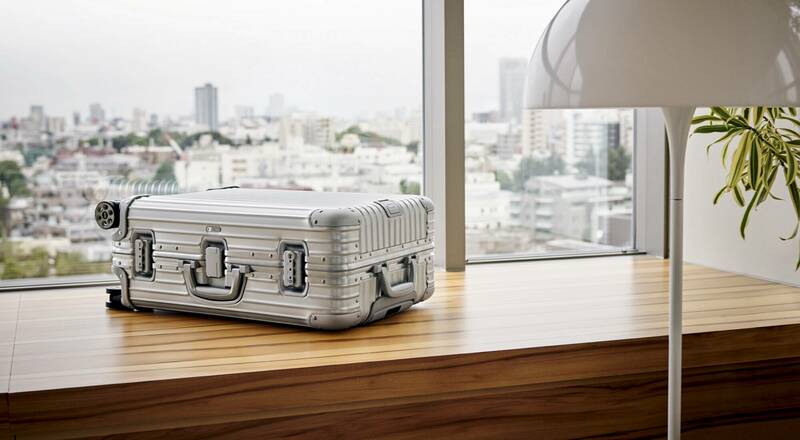 RIMOWA revolutionised the industry when it launched the first polycarbonate suitcase in 2000. A patented system of ball bearings ensures optimum stability. Since 2014, RIMOWA has also been developing its exclusive “Bossa Nova” range which combines lightweight polycarbonate with the elegance of leather. This suitcase is a tribute to the English artist and botanist Margaret Mee who devoted her life to painting and protecting plants from the Amazon. RIMOWA donates a portion of its sales to the Association Saúde e Alegria which supports social projects in the Amazon. More recently, in partnership with Lufthansa, RIMOWA has launched the RIMOWA Electronic Tag. This innovative feature simplifies baggage check-in by matching, with the use of a smartphone, the boarding card with a Bluetooth electronic tag integrated only within RIMOWA suitcases. For over 60 years, RIMOWA suitcases have been inspired by the remarkable story of commercial aviation and the fuselage of the first metallic plane, the Junkers F-13. Thanks to the financial support and pioneering spirit of RIMOWA, a seven year project made it possible to reconstruct this legendary aircraft. The inaugural flight took place on September 15, 2016, nearly a century after its first commercial use in 1919. This revival embodies the exceptional heritage of the House. While working on this transaction, Dieter Morszeck has also created the RIMOWA Dieter Morszeck Foundation to which a substantial part of the sale proceeds will be donated. The RIMOWA Dieter Morszeck Foundation aims to support projects in scientific research, public health, education and humanitarian aid both in Germany and internationally. The transaction, subject to the approval of the competition authorities, relates to 80% of the shares for a value of 640 million euros and is due to complete in January 2017. RIMOWA revenue for 2016 are expected to exceed 400 million euros. RIMOWA is the global leader in premium and high technology luggage. Since 1898, RIMOWA has placed quality and innovation at its core, introducing Aluminium into the manufacture of its luggage in 1937 and polycarbonate from 2000. RIMOWA, which has 3,000 employees worldwide, provides integrated design and product development in Germany along with the majority of manufacturing, combining artisanal savoir-faire with precision technology. RIMOWA, headquartered in Cologne, is still led and owned by its founding family, enjoying continuous growth since 1982 under the chairmanship of Dieter Morszeck, grandson of Paul Morszeck, founder of the company. RIMOWA products are now distributed in 65 countries, through nearly 150 stores via licensees and a network of specialized partners, with a turnover expected to exceed 400 million euros at the end of 2016. In 2015, RIMOWA was named best company in the Mittelstand by the Munich Strategy Group.